To invite their 140 Member Organisations worldwide to participate in a global PR and media campaign promoting the 40th Anniversary of the GS1 barcode, GS1 Global Office (Brussels) asked Acapella to create a global set of communication tools. 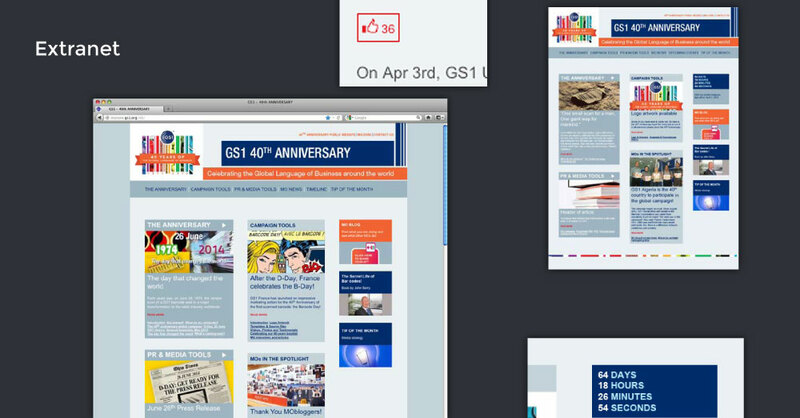 The heart of the project was a 100% tailor-made CMS-based extranet linked to a monthly e-newsletter. The web included a blog where Member Organisations could publish their local communication and PR-ideas and realisations and “like” other Member Organisations’ posts. 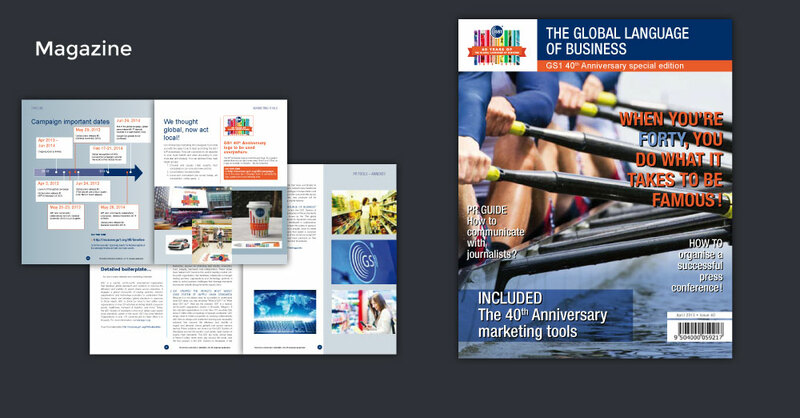 GS1 Global Office had also included a complete PR-toolbox. Most of the news articles on the blog were written by Acapella, in close co-operation with GS1 Global Office’s marketing and communication team. The campaign tools were also made available to the Member Organisations through this dedicated website. Each newsletter came with a new concept around promoting the barcode’s anniversary. 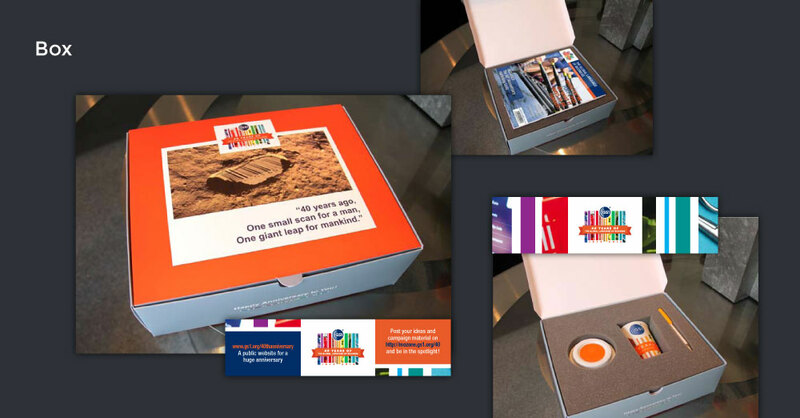 To launch this incentive campaign, we conceived a gift-box with a mug and a magazine that included the main part of the PR-toolbox as well as information on how to participate, who to contact, and “fake” ad’s to promote the website. 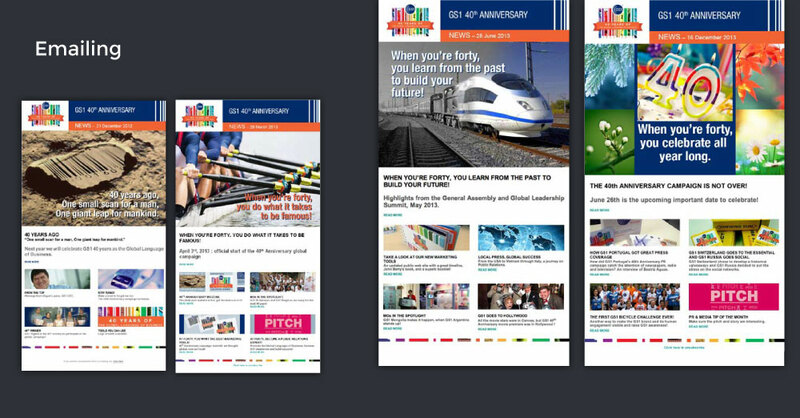 The whole campaign was based on our original concept: creating “news” items (a news-website, a magazine, newsletters) inspired by, but not copying, real media. Over 65 Member Organisations actively participated in the action, which resulted in over 650 media covering GS1 barcode’s 40th Anniversary, worldwide.